Rwanda is putting its foot down on the widespread use of skin bleaching products. 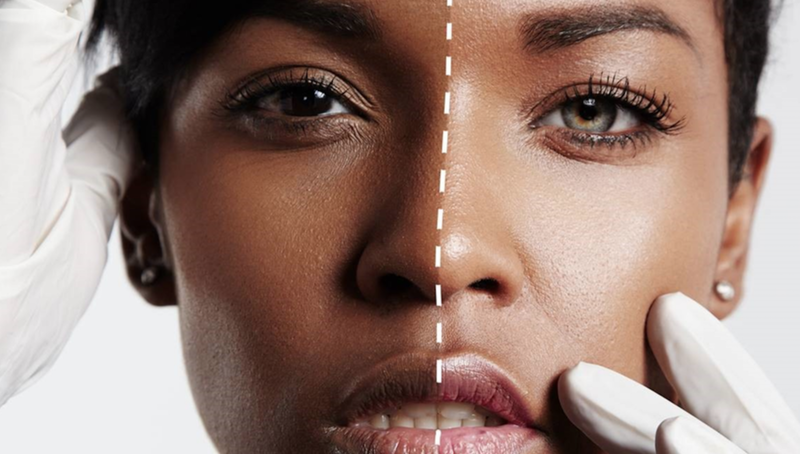 The East African country first made strides to cut down on the use of products, particularly those that include topical skin-bleaching agent hydroquinone, in 2016 with an explicit ban on all non-medical uses. Late last year, government officials from the densely-populated country escalated their efforts, extending the ban to all uses of skin bleaching creams, following in the footsteps of Ivory Coast and Ghana, both of which have banished legally-accessible skin-lightening creams from their markets. The legislative ban makes Rwanda the third African nation in roughly four years to take such a stance against the widespread use of these products. As of 2011, the WHO found that approximately 25 percent of women in Mali, 59 percent of women in Togo, between 52 and 67 percent of Senegalese women use skin lightening products, and a whopping 77 percent of women in Nigeria make regular use of skin-lightening products. Ivory Coast was the first to enact such a ban in 2015, followed by Ghana in 2017. Despite increased education about the downsides of regular use of skin lightening and brightening creams, there is significant international growth on the horizon. CNN pointed to figures produced by Global Industry Analysts, which project that sales for such products, which center largely in African, the Middle Eastern, and Asian nations, will rise to $31.2 billion by 2024, up from $17.9 billion in 2017. Meanwhile, in Rwanda, “President Paul Kagame sparked discussions on the need to ban the sale of skin ‘whiteners’ on social media in November,” CNN states, and swiftly acted upon his vow to “reign this in very quickly” by way of seizure efforts by local authorities, which have resulted in the confiscation of nearly 6,000 banned products from stores in just a few months. “This is a continuous operation that will not only get these illegal and harmful products from the market but also to fight trafficking [of these goods],” Commissioner of Police John Bosco Kabera, the police spokesperson, said. As for whether confiscation is enough, many are skeptical, as the issue here runs deeper than vanity. Shingi Mtero, a lecturer at Rhodes University in South Africa who teaches a course on the politics of skin bleaching, spoke to NPR late last year in the wake of controversy surrounding celebrity Blac Chyna’s promotion of a skin-whitening product called Whitenicious, that "in post-colonial Africa, there is still a premium on light skin. Whiteness is something that many Africans aspire to, and light skin still has social capital." Edward Ademolu, a PhD researcher at the UK's University of Manchester, echoed this notion, telling CNN this week that "an intra-racial complexion-based hierarchy often affords societal, cultural, economic privileges and favoritism towards lighter-skinned people and discrimination against those with darker complexions."